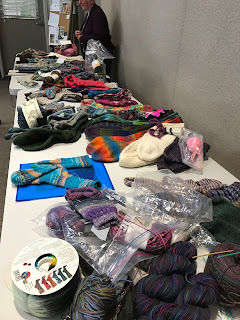 It seems the DCWS members are pre-occupied with knitting socks. 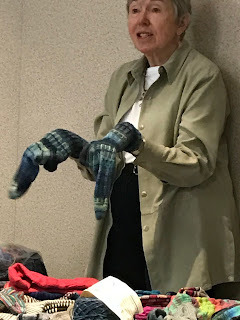 You can see the regulars quietly knitting away during most of our meetings. 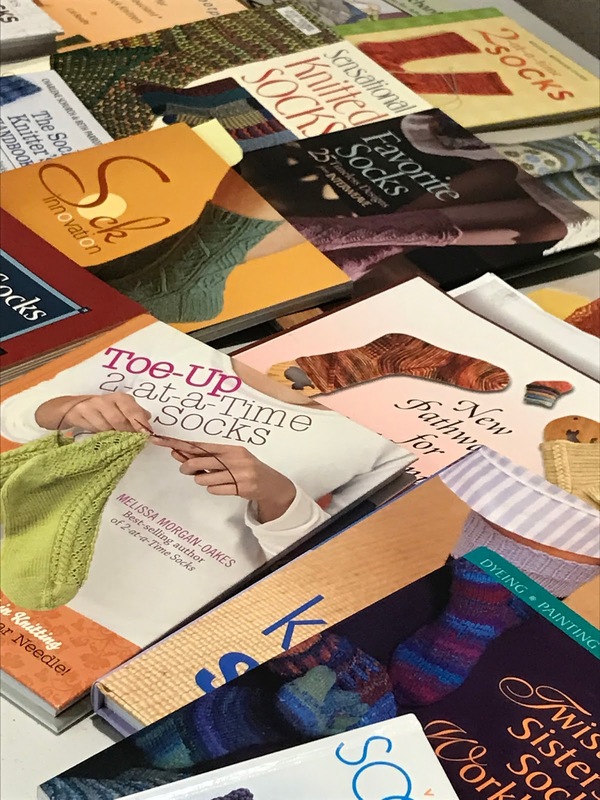 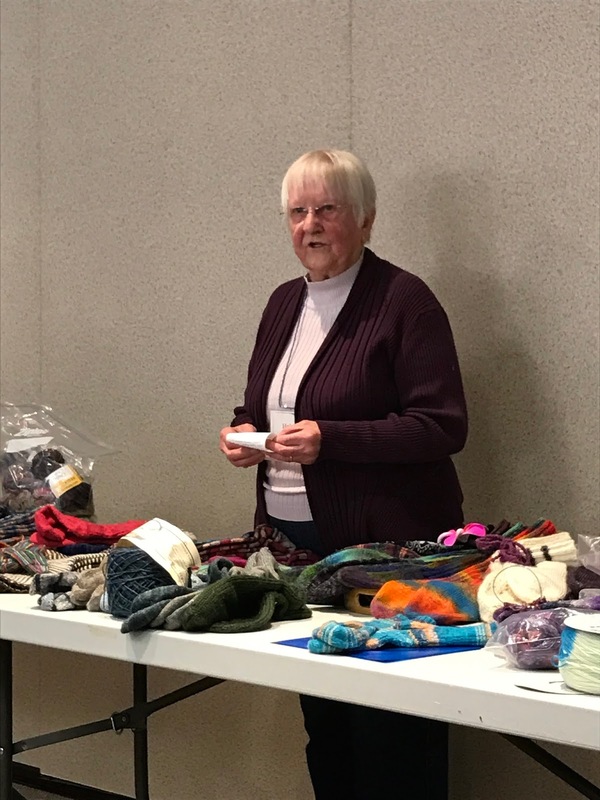 Last Tuesday Helen Thomas hosted a program about hand knitted socks. 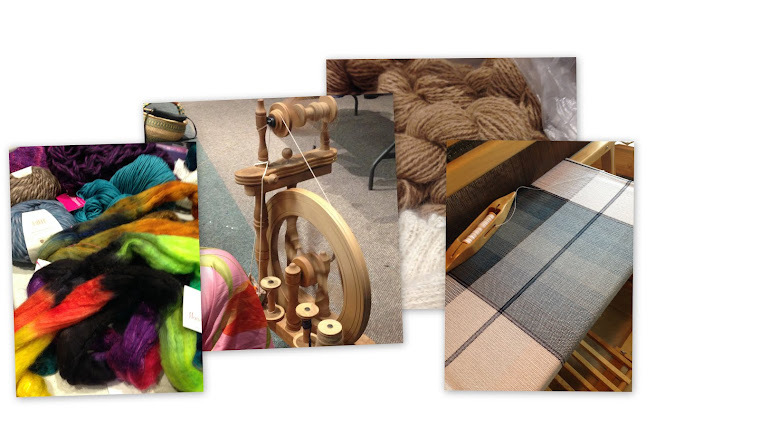 She gave a very interesting account of her introduction to sock making. 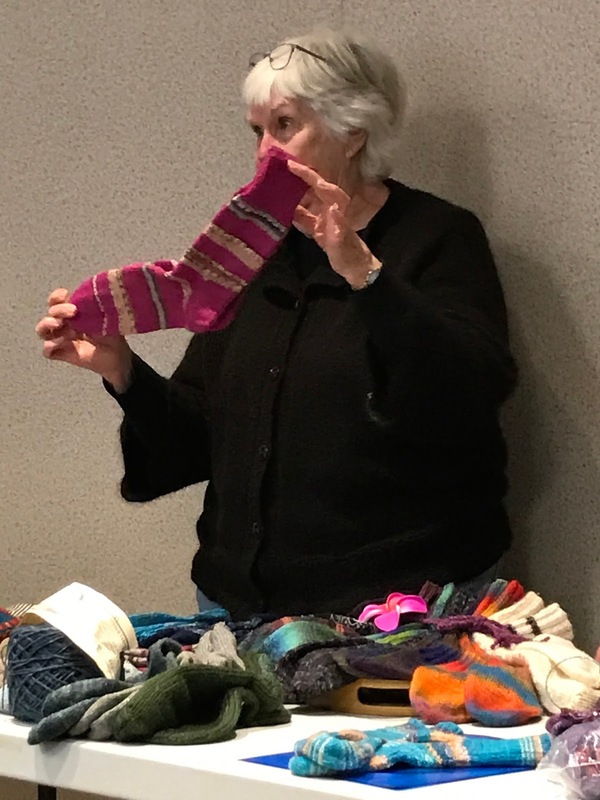 As a school girl, she was part of the war time sock making effort. 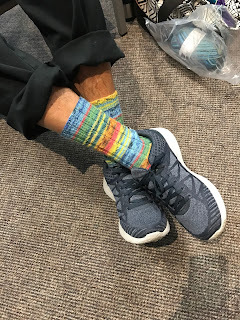 Apparently the sock making 'bug' stuck as she is still knitting away on socks. 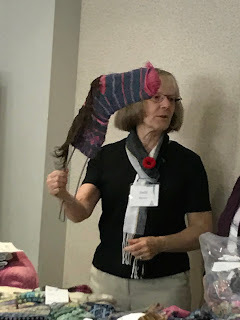 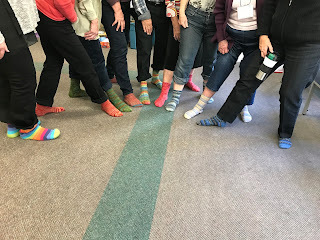 Other members spoke of their experiences with sock knitting and shared their favourite patterns and some interesting techniques. Today at the DCWS Guild the hand knit socks were Beautiful!